A few months ago, I saw the baseball movie with Clint Eastwood. He is a scout. Not much of a movie. Plot as thin as a piece of NC country ham but the story is one of missed opportunities. 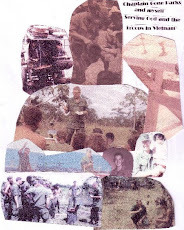 Here's a war story that is only slightly related to Ball State. When I was in College trying to be a football player, the Coach talked to us about going back to our High School trying to recruit friends, etc. We had this guy, son of one of my teachers--I talked him into coming to my college. They literally ignored him. I did what I could but it was obvious that the coach's interest was zero. The guy goes to UNC becomes an All American. I wanted somebody from Ball State to recognize him, who had it all: good grades, handsome, great athlete. How lucky they would be. They could put the rush on. They did nothing. The officials had their heads up their posterior. "Ball State who?" Let's have some dialogue here. This is sad and fascinating to me. Most of us are glued to the radio for news of the Boston Marathon bombing. One dead and we hope closing in on the other. The one youngster on the lam is a teenager. One person interviewed, actually an NPR broadcaster, who knew the teenager. Can't believe it. Unbelievable. Questions, Questions, Questions. Then comes a program on NPR, "Story Corp." Unbelievably inspirational. An amputee spends his time talking to patients at the hospital where his leg was amputated and who has many amputees. He goes to some bureaucrat at the hospital and tells them that he wants to volunteer to talk to amputees. They tell him to get "out of town." He isn't trained, etc. On the way out of hospital, he runs into the chaplain. The chaplain asks him what he is about. He explains to the Chaplain. The Chaplain ask, "Can he come back on Saturday? He doesn't know anything or why the Chaplain wants him to show up. But, dutifully he shows up on Saturday. It is training on how to talk to people. 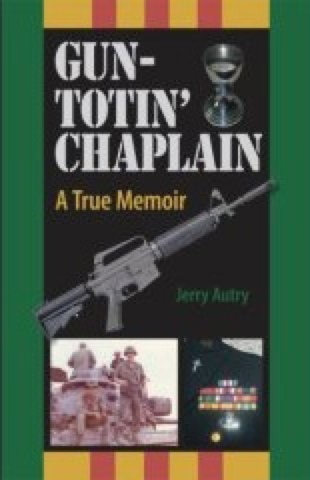 The Chaplain gives him a Chaplain's badge and tells him, "Now, you can visit as much and all you want." Amazing! 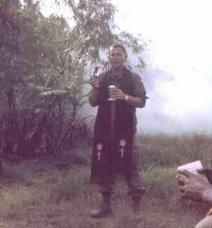 Now, this is a Chaplain! Airborne! HooAhhhhhhh. An aside, what a nice story in light of the tragedy in Boston and the on-going man hunt. I, along with you all, was glued to the TV as the Capture of the terrorist developed. I mentioned to Sandy that it was amazing that we could watch on TV the entire process. I thought during the time that it was so amazing and spoke to the technical proficiency and professionalism of our communication system and the journalist, it must have also put extra pressure on all the Law Enforcement agencies to provide protection, and keep the media from interfering. The entire Law Enforcement system sure did a terrific job. I was amazed at how quickly they identified the two terrorist/brothers. It also was surprising to me that the two of them stayed in the Boston area. I would have thought that they would have had an escape plan. Perhaps they did, and perhaps it didn’t work….who knows. 1) Go on the offensive, rather than continually working from a defensive position. For example, we have had huge problems in even defining terrorism. Consequently, our administration refers to the Ft. Hood massacre as “work place violence”; the Benghazi massacre as anything but terrorism, etc, etc. 2) Do away with the concept of “Political Correctness” and start profiling people. At this point we allow “minorities” to put us on a guilt trip and then we back off. In the process of making sure that we are not guilty of the accusation of prejudice, that some Muslims claim, I think we have actually shown favoritism to them. 3) Completely re-work our immigration policy. "Give me your tired, your poor, Your huddled masses yearning to breathe free, The wretched refuse of your teeming shore Send these, the homeless, tempest-tost to me, I lift my lamp beside the golden door!" ----a fantastic concept, but at this point, without increased regulation, it is somewhat idealistic. The present immigration policy has overwhelmed the system and we have lost control. I can’t remember which candidate, but during the Republican Presidential Candidate election process, one of the candidates proposed that we put a serious limit on immigration for the next two yrs…..until the system can catch up. 4) Enforce and increase the requirement for U.S. Citizenship, and for obtaining a “green card.” A person by the name of Dr Wolanski has written a book, entitled,Battle for our Minds.” I haven’t read the entire book, but from those snippets that I have read it makes me wish that I would have written it. Good reflections on the drama of this past week! There are many questions yet to be answered about how the two got into agents of terror. Is this the start of the trend of white folks becoming the terrorists? Agree strongly on the work of all of the law enforcement agencies; you can bet that there will be many more cameras installed in major cities. A good idea, however, a continued move away from the freedom of the people. How normal that a very few impact the lives of many. This could be scriptural if we applied it to our Christian witness. Dave/Tom, these are good comments and I can't say that I disagree with any of them. I am going to have to chew over some of the views. I personally think that we don't need less government but more and I think that a great national tragedy like Boston makes us realize that. If I have been disappointed in the president in anything, it has been that he has moved to the right, in some cases more than George W., ie, use of drones, GITMO still open, Bradley Manning. One of my big complaints is when the politicians say "American People." This is crazy. It should be the "American people" who care." Not all Americans care. Look at voting percentages. I am sure that everybody is hanging on every word. But, the Church is in a difficult position. We are all over the map: Joel Osteen and the prosperity gospel, the idiot demonstrating at soldier's funerals, And everything in between. And this doesn't even touch the social issues. JDA.